OSWEGO, N.Y. -- The Oswego State women's basketball team, and Samantha Britton of Buffalo, commenced its season with a seven-point victory at Clarkson University on Wednesday night. 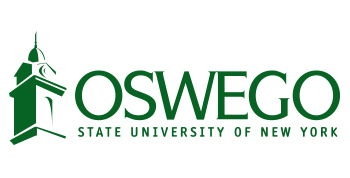 Oswego's triumph snapped a four-game losing streak against the Golden Knights and is the program's first season-opening win since its last win against Clarkson - a 76-60 win at home on Nov. 15, 2013. It is also the Lakers' first victory on the road against Clarkson since the 1982-83 campaign. Location: Alumni Gymnasium -- Potsdam, N.Y.
Clarkson jumped out to a 7-0 lead in the first quarter before the Lakers answered with a 23-9 run to close out the half ahead 23-16. Oswego came out with the same relentlessness in the third quarter, pushing its advantage to 12 points at 32-20 over the opening four minutes. That would prove to be the Lakers' largest lead of the contest. With 5:28 remaining in the tilt, Clarkson closed the gap to just one point but Oswego displayed resiliency. The Lakers outscored the Golden Knights 12-6 down the stretch to stave off the host's comeback effort. It was a balance of returners and newcomers that led Oswego, with junior Quincey Zimmerman pacing the Lakers in the point column with 16 points. The upperclassman was efficient in her 31 minutes of play, shooting 6-for-10 (60.0%) from the floor, including 50.0% (2-for-4) from beyond the arc. Freshman Sam Doupe needed little time to acclimate to the college realm, filling the stat sheet with 13 points, seven rebounds and a game-high four assists. Much like Zimmerman, Doupe showed solid shooting prowess, make 3-of-4 (75.0%) shots from the floor and hitting all but one of her eight attempts from the charity stripe. Two other Lakers broke into double digits, as returning sophomore Raiven Encarnacion scored 12 while first-year Ramatoulaye Sy recorded 11. The latter tied for a game-high in the steals category, accounting for half of the Lakers' six forced turnovers. Sy hit the glass, matching Doupe with seven boards, but both trailed graduate-student Rachael Windhausen'steam-best eight rebounds. Rounding out the Laker scoring was Samantha Britton with eight and Windhausen with a pair. As a team, Oswego's defense gave Clarkson a tough time, as the Golden Knights were held to less than 36.0% from the field and from 3-point range. Oswego also held advantages in rebounds (36-33), bench points (24-4), blocks (3-1), points off turnovers (18-14) and second-chance points (5-3). The Lakers will remain on the road for another nonconference matchup, trekking to Alfred, N.Y. to face the Pioneers of Alfred State College at 1 p.m. on Saturday.